The United States should respect China's right to develop and become prosperous, the Chinese government's top diplomat told a visiting US delegation, reiterating that the country's doors to the outside world would open wider. The world's two largest economies began their latest round of trade talks this week to resolve a bitter dispute in which each has levied tariffs on imports from the other. The United States has accused China of unfair trade practices, including forced technology transfers, charges it has denied. Respect and cooperation are the correct choice for both countries, something the international community hopes to see, State Councillor Wang Yi told the delegation of US business leaders and former officials in Beijing on Tuesday. "Just like the United States, China also has the right to development, and the Chinese people also have the right to have a good life," the foreign ministry paraphrased Wang as saying, in a statement issued on Wednesday. "The US side should recognise that China's development is in the world's interest, as well as the United States'. Only by seeing China's development as an opportunity for the United States can this help resolve certain problems, including trade and economic ones," Wang said. China's reform and steps to open up are in line with its development needs, and its doors to the outside world will open ever wider, he added, repeating previous government pledges. "As long as China and the United States proactively meet each other halfway, then trade and economic cooperation can still play a role as a ballast stone in Sino-US ties," he said. The US delegation included former US National Security Adviser Stephen Hadley, US Chamber of Commerce Executive Vice President Myron Brilliant, and US Chamber of Commerce China Center President Jeremie Waterman. On Tuesday, President Donald Trump said trade talks with China were going well and suggested he was open to pushing back the March 1 deadline to complete negotiations, saying it was not a "magical" date. Tariffs on $200 billion worth of Chinese imports are set to rise to 25 percent from 10 percent by March 1 if the partners do not settle their trade dispute, but Trump has suggested several times that he would be open to postponing the deadline. Negotiations in Washington this week follow a week of talks in the Chinese capital that ended last week without a deal but which officials said had brought progress on some key issues. Widely-read tabloid the Global Times, published by the ruling Communist Party's official People's Daily, said in a Wednesday editorial that both sides must remain calm during the current talks, but that Washington must not force anything on Beijing. 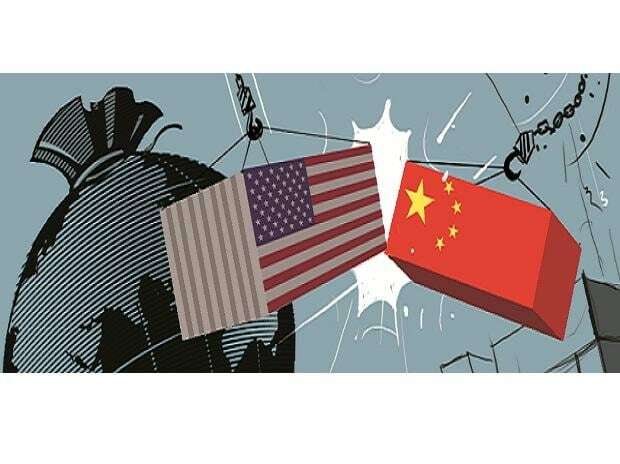 "US demand for China's structural reform must stay in line with China-US trade cooperation and coordinate with China's reform and opening-up. The talks must not try to force Beijing to change its economic governance or even its development path," it said. "China and the US must sign an agreement that will inspire their people, heralding accelerated economic development."